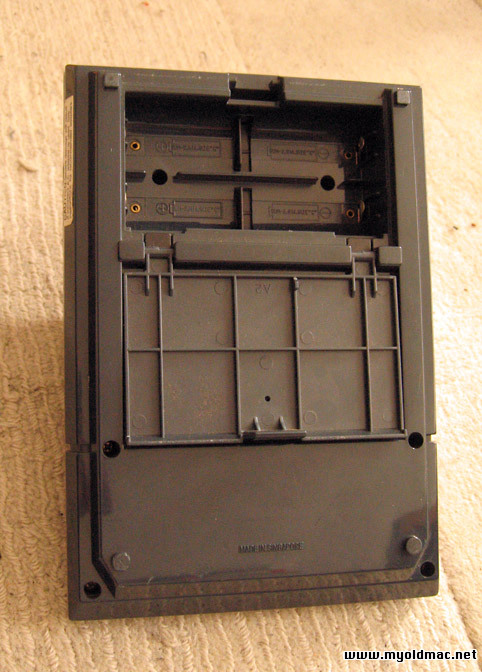 Tomy electronic tabletop VFD game, foreign version of Scramble.Battery compartment is clean, cover still in place. Some scratches on the case due to age and use. The "joystick" and fire button work reliable. See the photos. 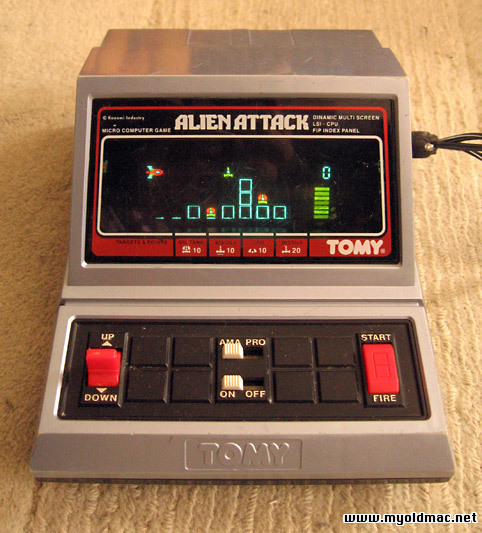 Tomy "Alien Attack" Tabletop Handheld mit VFD Display ist eine Version des Spieles "Scramble". Das Spiel funktioniert 100%, das Batteriefach ist sauber und der Deckel vorhanden. Guter Zustand, hat aber ein paar Kratzer (Gebrausspuren) auf dem Gehäuse. Sehen Sie die Photos.